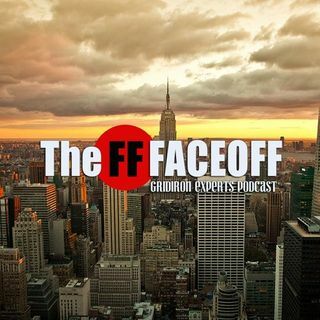 This is a Fantasy Football Podcast by the FF Faceoff's second post-NFL free agency 2019 NFL Mock Draft Predictions show covering the entire first round of Apri's draft. Not only will me predict each and every pick in the first round, but we will also tell you why we think they will land there. In addition, we will also talk about the Fantasy Football Impact of Chris Hogan to the Panthers, Leonard Fournette's arrest and so much more. On top of all of that, the guys will also ... See More discuss the latest news, rumors, and storylines from around the league. Don't forget that Anthony and Mike will always answer and address all of your fantasy football questions in the live chat right here on the show if you are tuning in during the live broadcast. Have an off-air comment? They guys will always answer them in a timely manner! ***While you're here, please don't forget to subscribe, follow, like, comment and share this video.